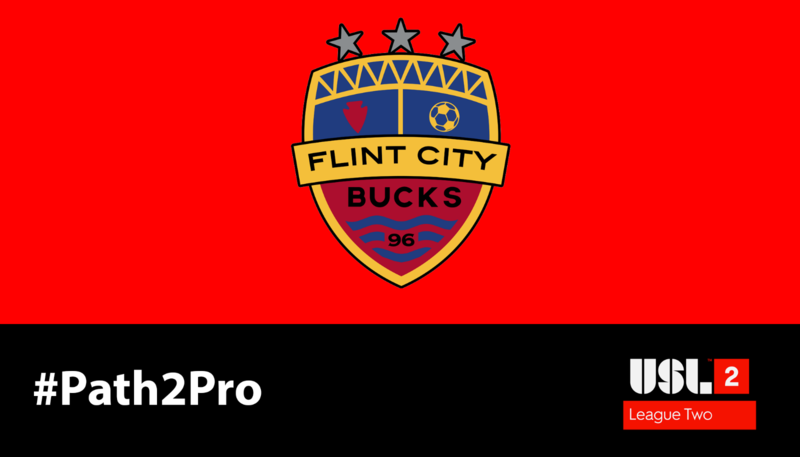 TAMPA, Fla. - After spending their first 24 seasons in USL League Two (formerly Premier Development League) as the Mid-Michigan Bucks and Michigan Bucks, the historic franchise will continue their journey in the league as the Flint City Bucks. The club officially unveiled their new name, color scheme and branding on Wednesday during a press conference in Michigan after announcing their move to Flint back on Oct. 30. Over 1,000 online entries were received in the franchise’s “Name the Team” contest, and the Bucks worked Mindy Prusa, Director of Flint’s Whaley Children’s Center, and local photographer Kayce McClure to help decide on a winner. Overall, the Bucks were thrilled with the result of the contest, as well as the the opportunity to work closely with the children from Whaley Children's Center. He continued, "We expect much more of the same consistency that has been the trademark of the Bucks legacy. We look forward to competing in several competitions beginning this May with only one focus; winning. As a club, we look forward to becoming the first team to eclipse 300 wins since joining the PDL (now USL League Two) back in 1996." *Blue signifies the decades-long dominance of “blue collar” workers who are the backbone of Flint, its work ethic and economy. Blue also signifies the renaissance of the 142-mile Flint River, which was recently named one of the first State of Michigan Water Trails. The renovation and rebirth of Flint River’s pathway through the city – adding safe recreational activities and events – illustrates the exciting and changing vitality of Flint. *Red harkens to historic red brick-lined Saginaw Street, which winds through historic downtown Flint. The brick-lined streets have witnessed Billy Durant’s first meeting to invent General Motors at the Dresden Hotel as well as meetings held by David Buick, Walter Chrysler, Alfred Sloan and Albert Champion. They also served as a personal test track for Louis Chevrolet. *Gold nods to Kettering University, which took ownership and renovated historic Atwood Stadium where the Flint City Bucks will play all of their home matches.